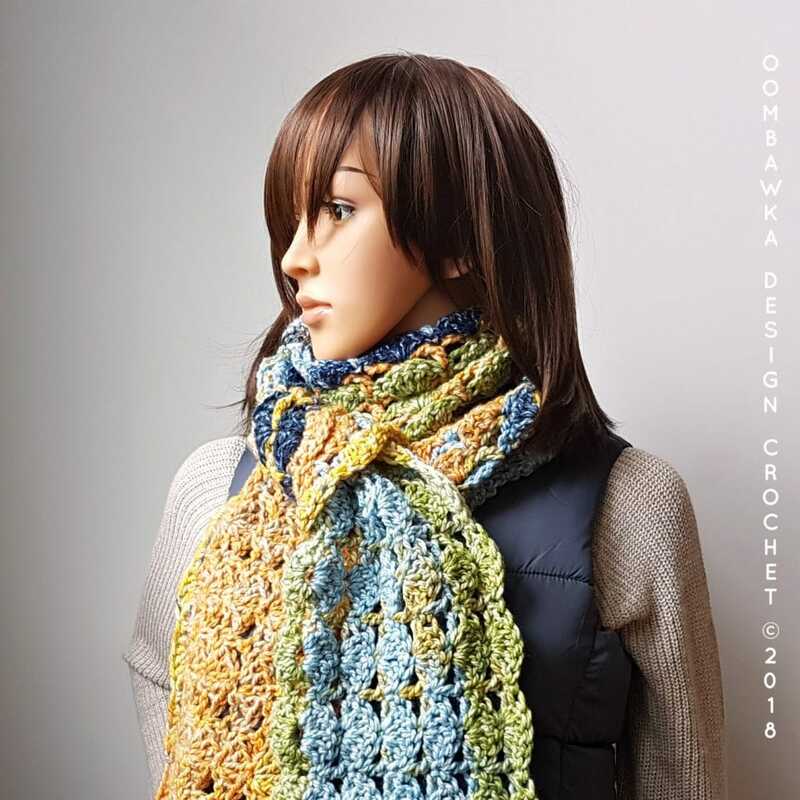 You are here: Home / Free Crochet Patterns / My Free Patterns / Crochet Patterns for Scarves and Cowls / Cozy Hugs Scarf Pattern. Happy May! 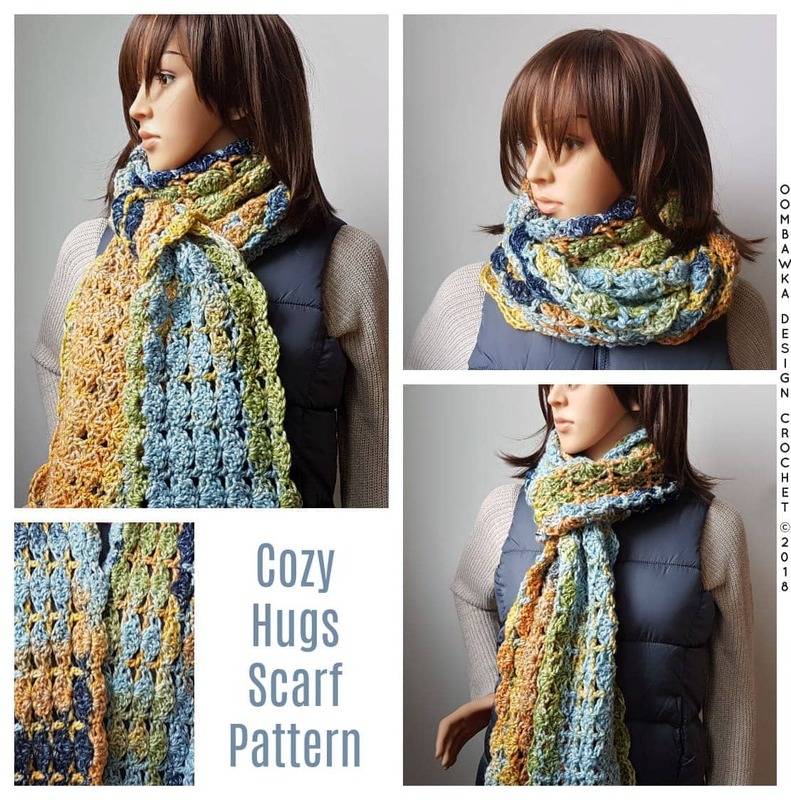 This post includes my free Cozy Hugs Scarf Pattern. This month I chose to make a snuggly scarf you can wear and feel cozy inside during the winter months. The yarn is super soft and it is not heavy! I am totally in love with it. I’m making a blanket with it right now in a different colorway. Please continue reading below for my free scarf pattern. But first let me show you the other scarves you can make this month too! I purchased the yarn and hook for this post. This post includes affiliate links. If you make a purchase after clicking on an affiliate link, I may receive a small commission for the referral at no additional expense to you. 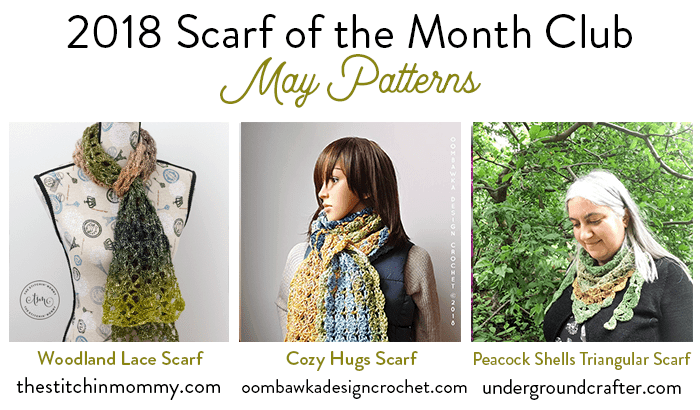 Welcome to our May Scarf of the Month Club Event! This month we have 3 brand-new free crochet patterns for you to make. We hope you enjoy making these beautiful scarves and cowls. See you again next month! Here are your 3 May Scarf of the Month Club Scarves! Yarn: Red Heart Hopscotch. 4 oz / 113 g ; 210 yds/ 193 m. 100% Acrylic. Medium Weight  Yarn. Color: Scooter. Machine wash and dry. Finished Project Yardage: 311 yds / 286 m ; 5.91 oz / 167 g.
Beg Ch 5 counts as 1 dc and ch 2. 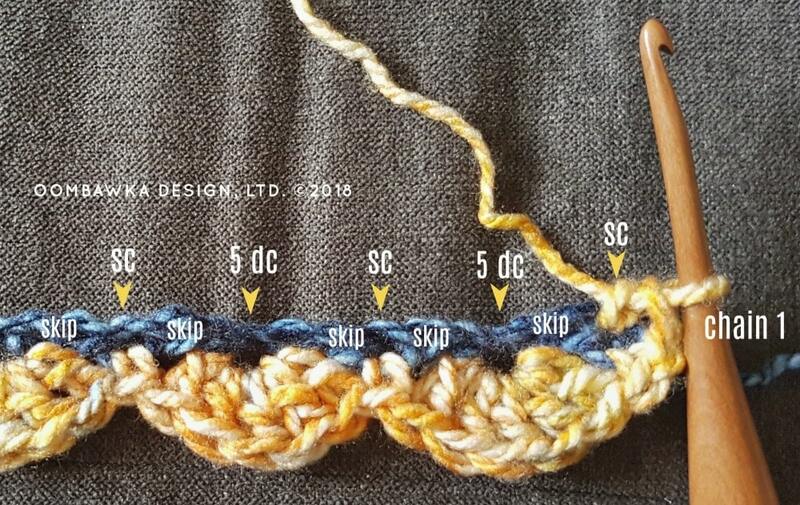 When you begin this scarf you will work across the starting chain row and then rotate your project to work back across the bottom edge of the same starting chain row. This allows us to add the edge for the first side of the project without having to rejoin and add it at the end. The rest of the project is worked in rows. ROTATE your work to work along the bottom edge of the initial chain row. Rep R2 and R3: 4 more times. Finish off and weave in your two ends. You have completed the scarf! I love your patterns! But why do you have those pop-up tutorials? They are so irritating because I can’t see the pattern. As bad as pop-up ads.